Are you looking for an exhaust benders for sale? 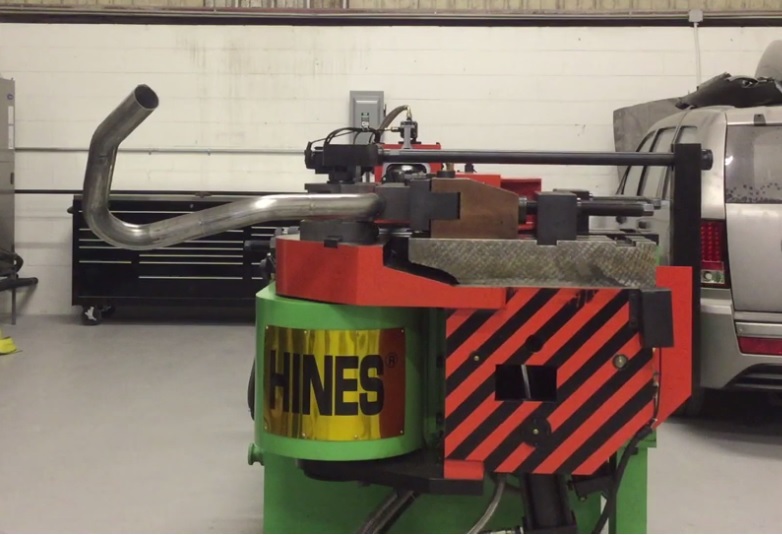 Finding the right bender that bends exhaust parts can be a challenge. 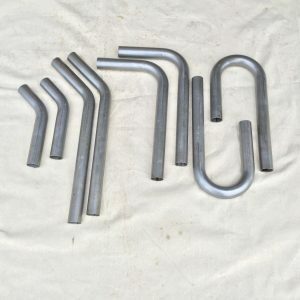 At quick glance on the internet, there are various exhaust benders for sale. Some benders give you a better bend than others. What’s more, quality of an exhaust bend is in the eye of the beholder. Why does the features of exhaust benders for sale make a difference? 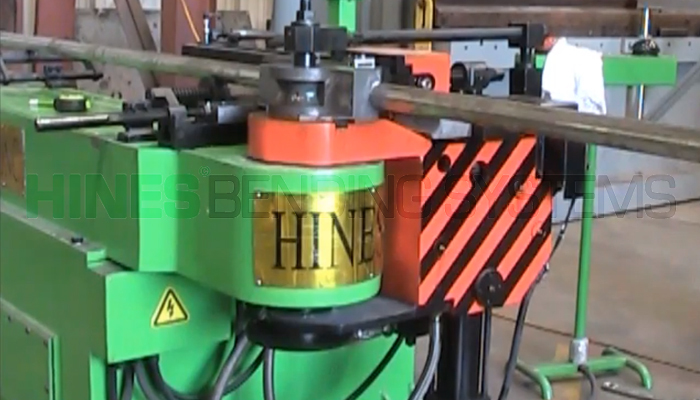 Some bending machines you see for sale will bend exhaust parts but will not support the exhaust pipe inside. Another point often overlooked is an exhaust bender capable of removing wrinkles in the bend area. To be sure, support of your exhaust pipe while bending is also important. 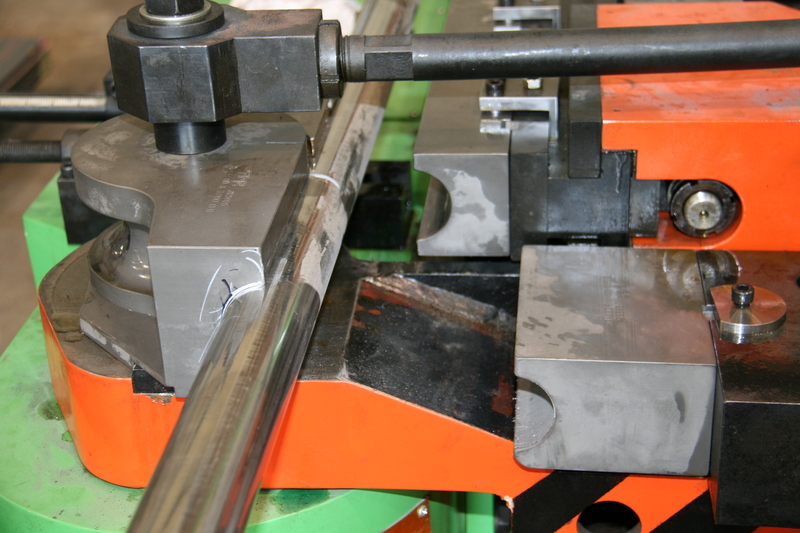 For this reason, a clamp die and a pressure die are key to apply just the right grip and pressure to the pipe. Without these features, an exhaust bender is often very inexpensive. 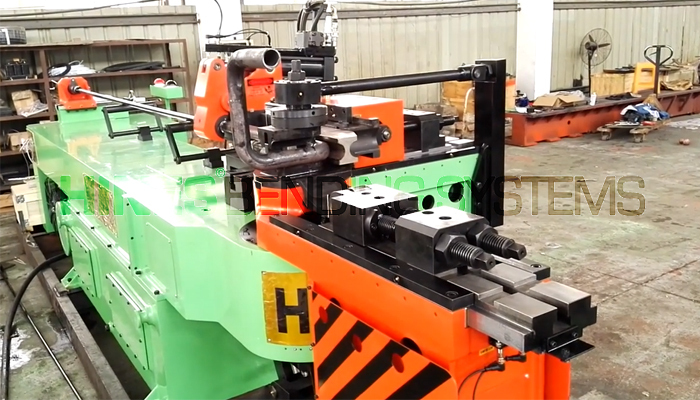 For a small shop this inexpensive bender may work, especially if the quality of the exhaust bends may not matter much. Be that as it may, most companies looking for exhaust benders for sale want a nice quality bend. That said, you want to focus on a few key factors with an exhaust bender. Firstly, you want an exhaust bender that keeps the ovality of the material throughout the bend. This means you want mandrel capable bender. 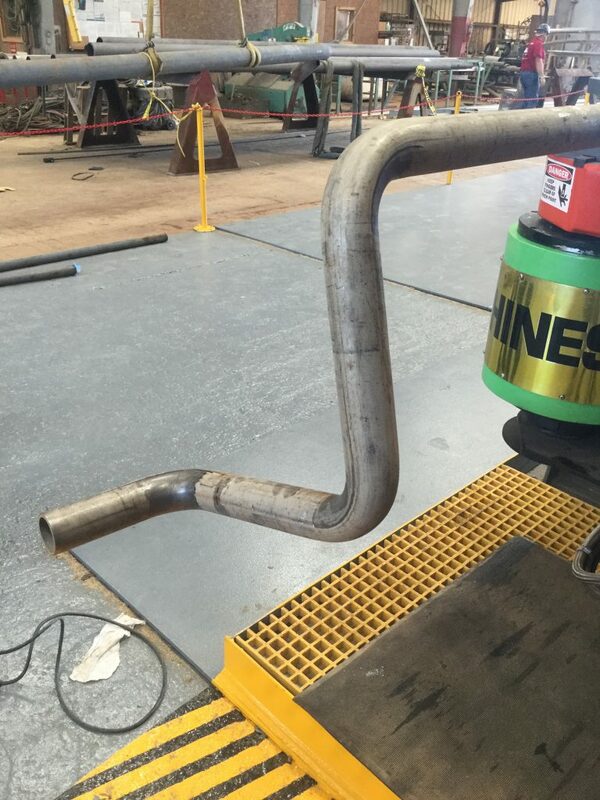 A mandrel supports the inside of the exhaust pipe through the bend. 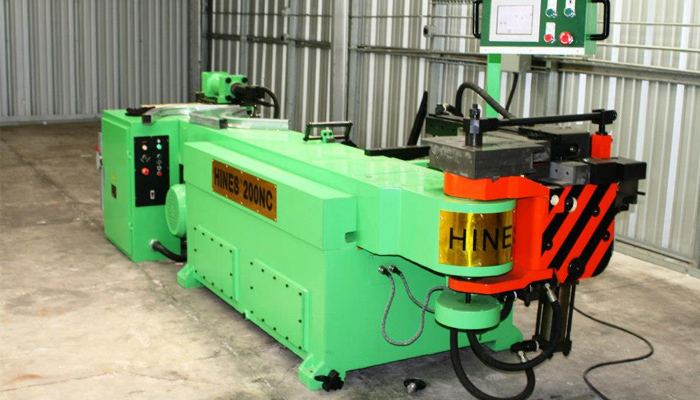 Exhaust benders for sale should state it is mandrel capable in its specifications. 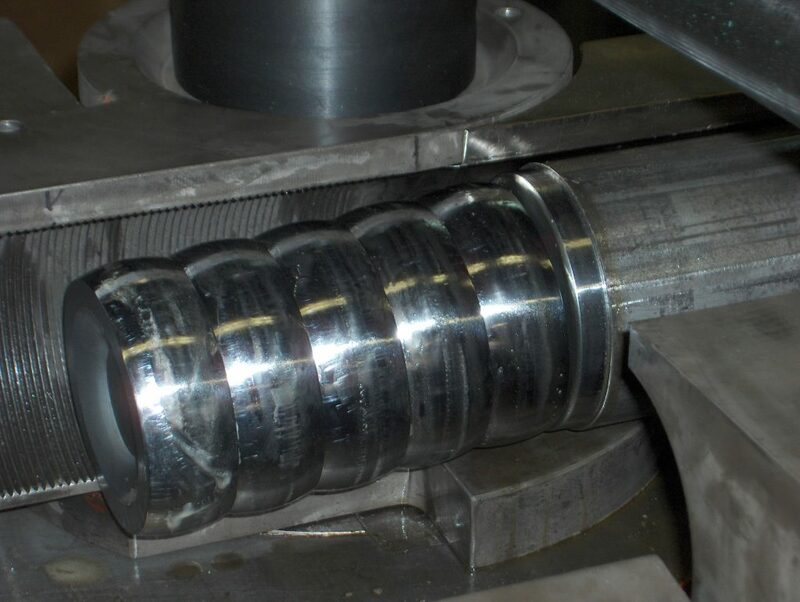 Your exhaust bender should also have a way to lubricate the mandrel and extract it automatically. 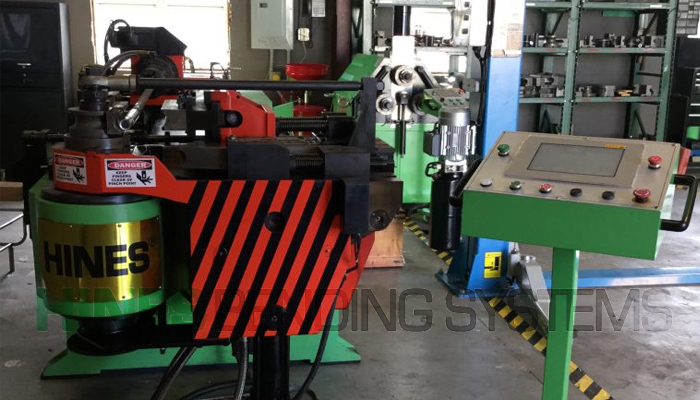 You should look for mandrel extractor or mandrel lubricator in the exhaust bender for sale specifications. Secondly, you want an exhaust bender that can set up to remove wrinkles from the bend area. This is done with a wiper die that mounts to a bracket on the bender. As the exhaust bender is bending your pipe around the bend die, the wiper smooths away any wrinkling. For your final bent exhaust part, this truly adds a nice clean look. Your customers will definitely note quality difference between an exhaust pipe with wrinkles and bender that removes those wrinkles. Third on your list of features when you look at exhaust benders for sale are the pressure and clamp die. Without these two parts, the exhaust pipe will slip. Or, equally important, not remain stable on the exhaust bender throughout the bend process. 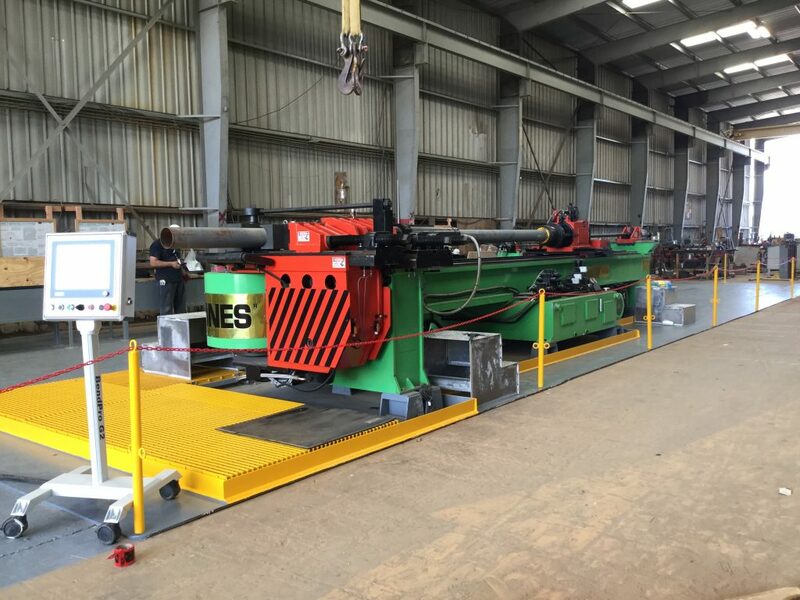 As you can imagine, metal is put under a decent amount stress during the bending process. 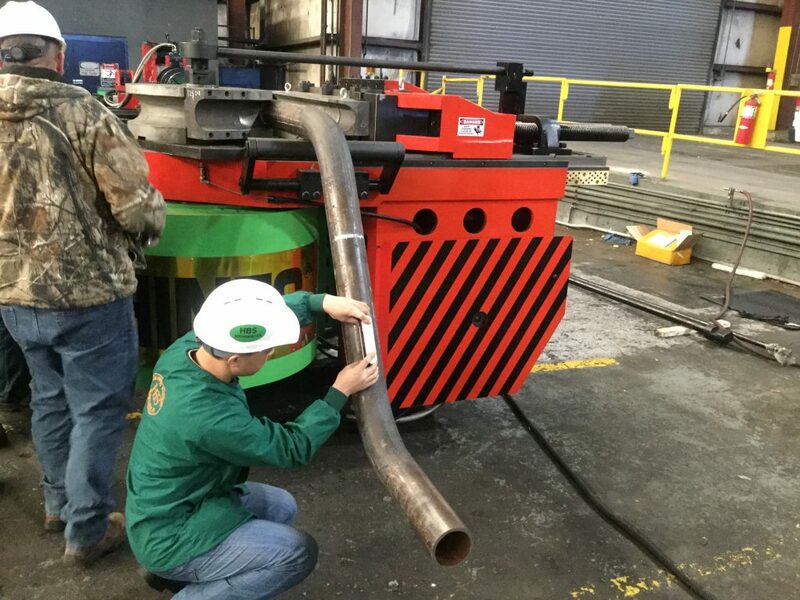 Most notable when bending a tight radius and thin wall material often required in exhaust bending. 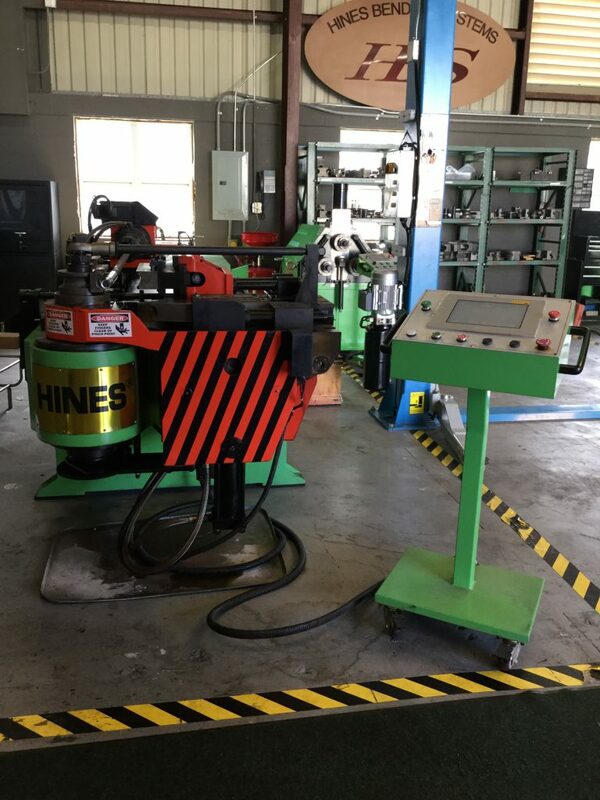 Overall, the features of exhaust benders for sale makes a difference in your final bend quality. When you support the material inside and out with right pressure and speed bend quality increases substantially with an exhaust bender. There are other features of exhaust benders for sale not covered here. 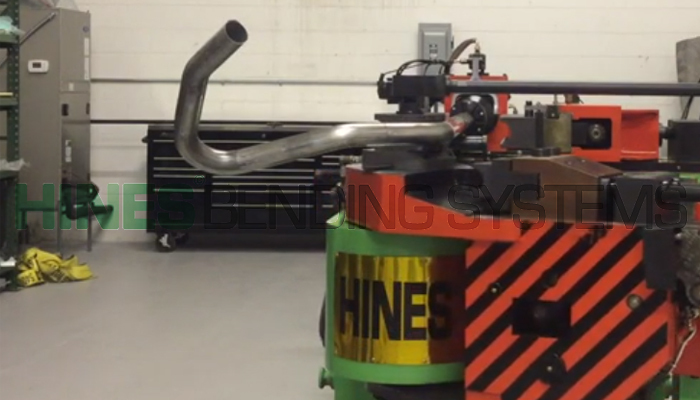 If you want additional information about a quality exhaust bender contact Hines Bending Systems. 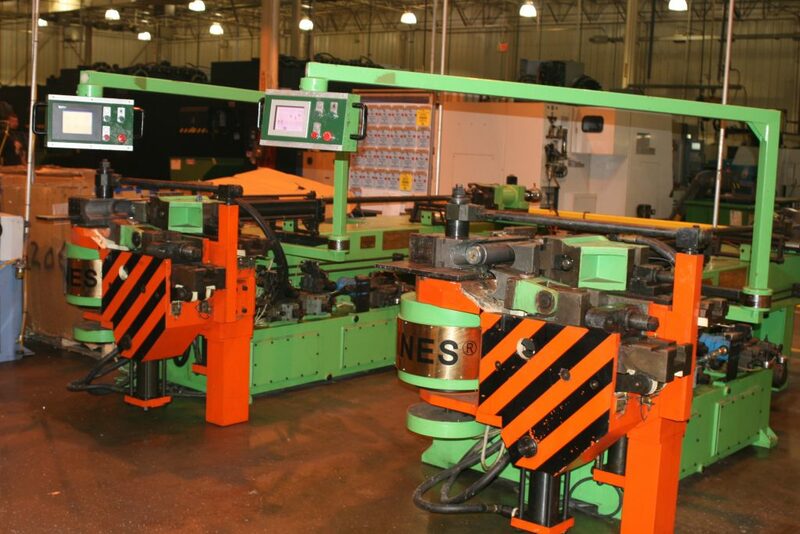 Their expertise in the exhaust bender industry has been globally known since 1975. You can also set up a visit to have a demonstration of exhaust benders for sale.